From the streets of California to the stores of New York City, protesters are making sure no one forgets the case of Eric Garner. But some are doing so more violently than others. 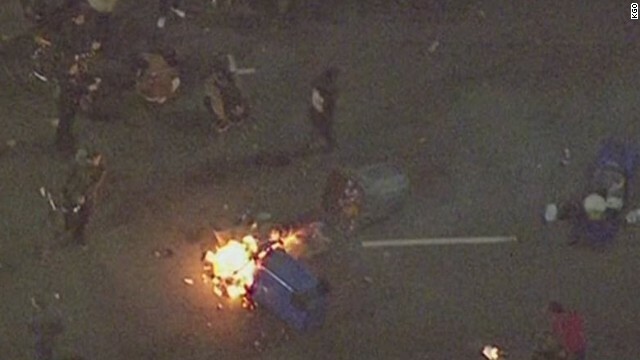 Demonstrators flooded a highway in Oakland, California, late Sunday night, prompting a heated standoff in the freeway between protesters and the California Highway Patrol. Some threw explosives, bottles and rocks at officers, authorities said. Highway Patrol Sgt. Diana McDermott said it wasn't clear what type of explosives were thrown, but she said some in the crowd had Molotov cocktails and M-80 firecrackers.